This fun yoga adventure is a way to heal the world with mindfulness! Get ready for an exciting expedition off your yoga mat and into the wilderness. 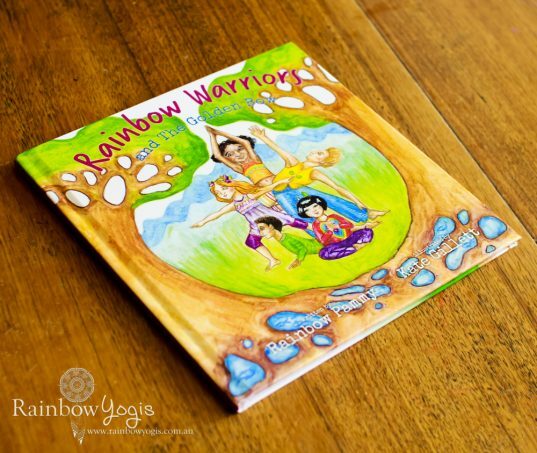 This is the first of a series of books by yoga instructor and children’s development specialist, Rainbow Pammy. This playful, instructional book has been designed to encourage kids to take their yoga practice out into nature. Developing a greater awareness of the environment, an appreciation of its beauty and the importance of their own place in it. Colourful illustrations accompany step-by-step yoga instruction and photography. This will provide children the basic yoga training they need to develop a meaningful practice that will stay with them the rest of their lives. Founder of Rainbow YogisTM, Rainbow Pammy has spent the last decade developing her own brand of yoga, especially for children, by combining a lifelong obsession with yogic practice, a deep interest in the psychology of mindfulness, as well as her endless love for animals and the environment. We will endeavour to process your order by the next business day. Orders normally ship within 10-15 business days of receiving your order* (does not include below shipping times). * Processing times may vary and depend on our printing partner’s capacity at the time of order. This fun yoga adventure is a child’s perfect introduction to the world of yoga and mindfulness. 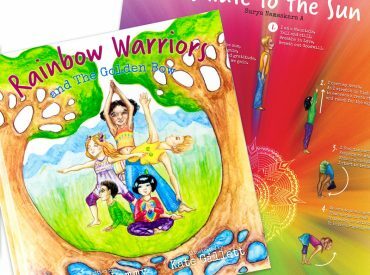 The book is first in a series by yoga teacher and children’s development specialist Rainbow Pammy. Readers are introduced to children from all over the world who explore yoga poses in a fun and creative way. The story encourages kids to take their practice beyond the mat into nature, and colourful illustrations tell a beautiful story.